Summit High's Kai O'Bannon departs the blocks at a relay race earlier this season. 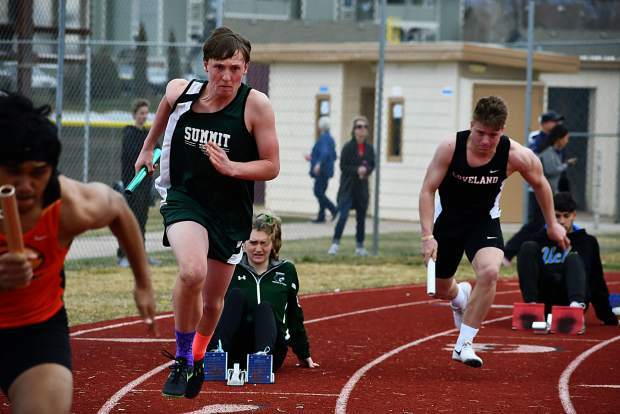 The Summit High School girls 4X200-meter relay team took first place at Thursday’s Joe Shields Invitational in Kremmling, pacing the girls team on a day where they finished in eighth place of 11 teams while the boys team finished in seventh place of 11 teams. The 4X200-relay team — consisting of Megan Willits, Brooke Tomlinson, Hannah Drabik and Jenna Piehl — won the race with a time of 1:58.66, more than a second faster than Shining Mountain’s second-place time of 01:59.99. The sophomore Willits had a great meet, adding a sixth-place finish in the 100-meter hurdles (19.73), and eighth-place finish in the 200 meters (30.01) and a ninth-place finish in the long jump (12-feet, 11.75 inches). Summit senior Brooke Tomlinson added a ninth-place finish just behind Willits in the 200 meters (30.23), while Summit sophomore Toril Aserlind took eighth-place behind Willits in the 100-meter hurdles (21.78). Aserlind also threw her way to ninth-place in the discus (76-feet, 7-inches). Summit junior Emma Howard also excelled for the girls team, posting a second-place mark in the high jump (4 feet, 10 inches) and fourth-place in the triple jump (31 feet, 2.75 inches). 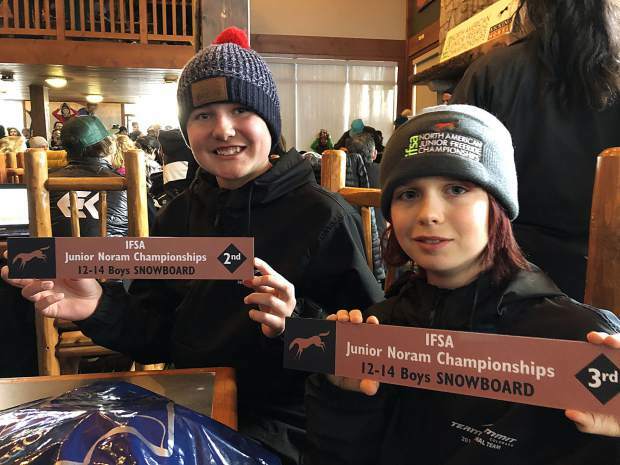 Summit placed two runners in the top-six of the girls 1,600 meters, with junior Morrison Donovan running to a time of 06:15.40 (fourth place) while Josie Jardon ran to a time of 06:42.58 (sixth place). In the 300-meter hurdles, Summit freshman Alexis Vaille finished in eighth place with a time of 01:05.81. 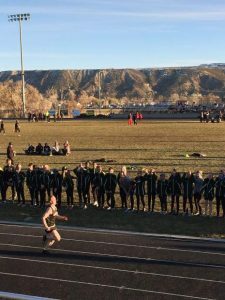 On the boys side, the Tigers had one of their most successful meets of the year, placing two jumpers in the top-three of the triple jump, two hurdlers in the top-five of the 300-meter hurdles and two athletes in the top-10 of the 400 and 1600 meters. In the triple jump, Summit’s Omar Ly leapt to a mark of 37 feet and 9 inches, just ahead of his teammate Calvin Duffy in third place (37 feet, 3.5 inches). In the 300-meter hurdles, Summit junior Brennan Creen ran to a time of 45.70 for fourth place while freshman Gray Wasson finished in fifth (45.87). Wasson also tied for fourth-place in the high jump (5 feet, 6 inches), and was joined in the high jump top-10 by Summit junior Lorenzo Lucia and sophomore Gabe Dalrymple, each with 10th-place jumps of 5 feet, 2 inches. In the 1600 meters, Summit freshman Alex Morano finished in third place with a time of 05:30.71 while teammate Sam Westcott, a sophomore, joined him in the top 10 in eighth place (05:39.92). And in the 400 meters, Summit junior Chris Rohlf finished in ninth place (58.29) while freshman Quinn Weinberger finished in 10th place (58.86). The boys’ best relay finish came in the 4X800 meters, where Westcott, Rohlf, Morano and Jack Jones combined for a second-place time of 9:45.51.